Polish/Russian blood lines bred by Belarian Farms in Alberta. He is getting a good start this winter under saddle, walk/trot/canter in the arena and on the trails. Solid groundwork, longes nicely, loads, ties, good with feet. He is a very sweet boy with the cutest face and those big Arabian eyes, in your pocket friendly, easy going and eager to figure things out. He will make a lovely all around partner and friend. 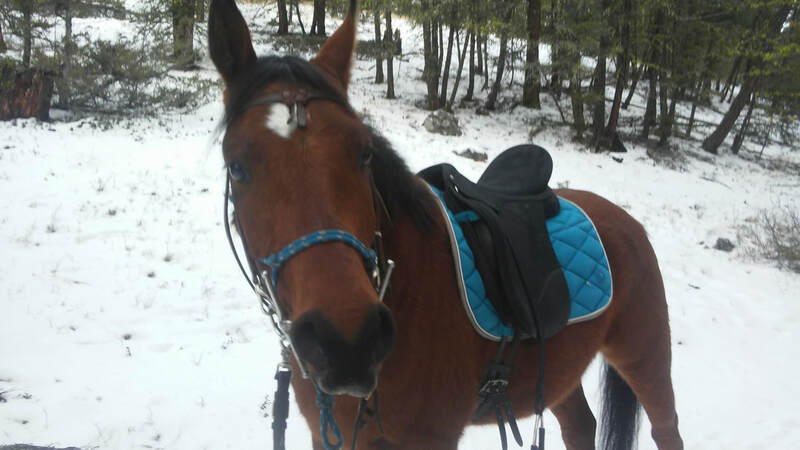 He is getting a good start this winter under saddle, walk/trot/canter in the arena and on the trails. Solid groundwork, longes nicely, loads, ties, good with feet. Very friendly and charming boy, elegant mover with flashy 4 white legs, easy going boy with a little bit more go than Tazzy without being hot. He could go into any direction and is a pleasure to be around with his friendly curious nature.